Our story of helping the world sleep soundly. We transformed an outdated buying experience to be free of hassle and high prices. By firing the middlemen and selling direct, we get you to sleep without breaking the bank. We proudly manufacture in the United States. Our VPF process for manufacturing foam is the most eco-friendly in the world. We surpass the Clean Air Act’s standards and generate cleaner air than what we start with. We’re passionate about keeping America as healthy as possible. From the initial research to the final product we’ve kept the single most important idea at the forefront of our minds, your comfort. 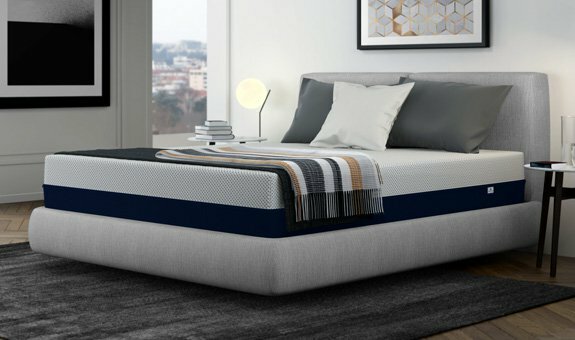 Each mattress has a finely tuned layer construction to make them as comfortable as possible. We know that we’ve perfected every mattress and intend on innovating well into the future.